Lighting artist Leo Villareal has been busy lately, opening installations in the New York City subway system and in Madison Square Park, but an even bigger achievement is set to debut tonight in San Francisco. 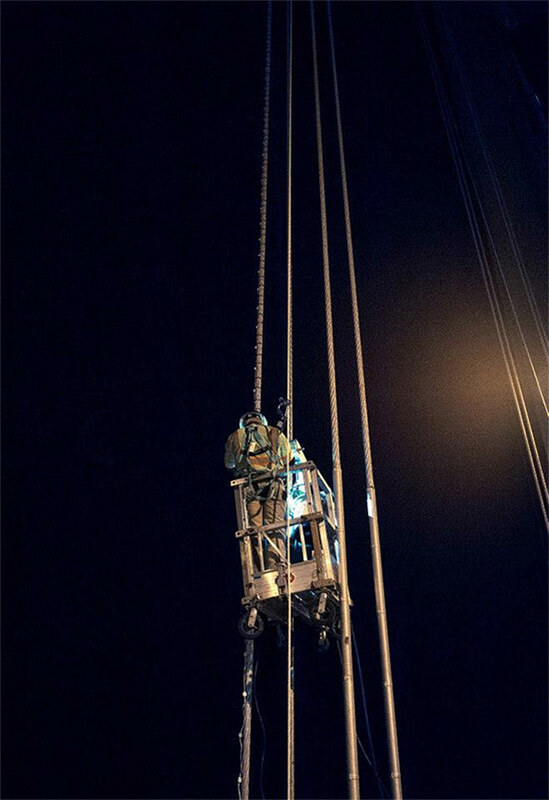 Villareal has attached 25,000 LED lights to the San Francisco Bay Bridge and connected them to a computer in order to create dazzling lighting displays viewable from the city and the water along the suspension bridge. 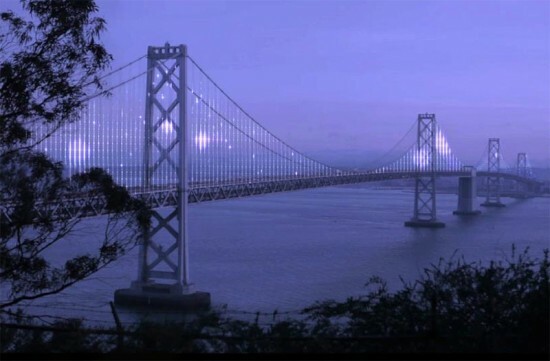 Called The Bay Lights, the project celebrates the bridge’s 75th anniversary and is set to go live tonight at 8:30 PST. But don’t worry, if you’re not in San Francisco to view the installation from the Embarcadero or Telegraph Hill, the event will be streamed live online at the project’s website here. 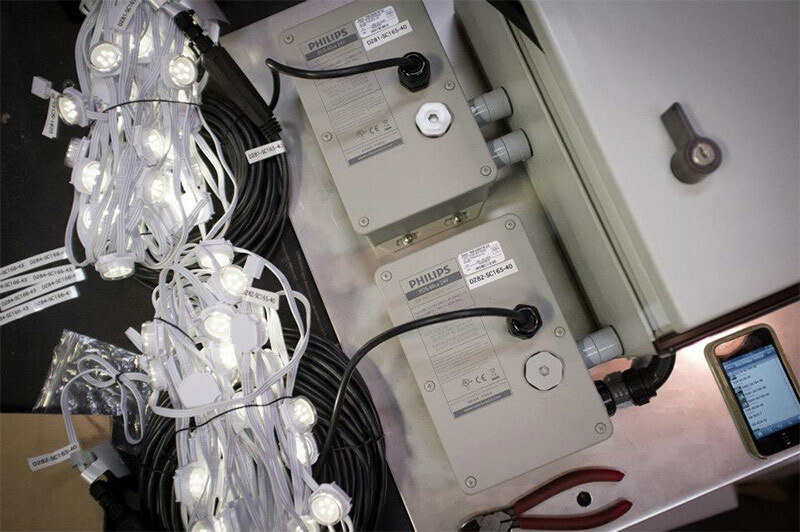 Until then, check out a couple videos below of the installation being tested. The Bay Lights is believed to be the largest of its type in the world and will be in San Francisco for two years, lit each night from dusk till 2:00a.m.